Pavilion marquees and gazebos are affordable, strong and stylish pointed tents and perfect for use at trade fairs, shows and exhibitions. The Pavilion frame is made from a robust 63mm circular 6063 T5 aluminium extrusion. A tension wire system is used to support the roof and also increases the gazebo strength by bracing the frame. The roof is made from our imported Belgium Sioen PVC and will last for many, many years. The pointed Pavilion tent range of pointed tents has a full structural engineers certificate and can be used at all public events where certification is necessary. The 3×3 Pavilion marquee is easy to set up and perfect for markets or festivals. 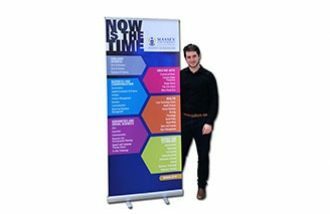 The 3×3 foot-print allows it to easily fit into standard size sites. The roof and side walls can be fully custom printed to make it the ideal branding solution. Engineered certified for use at public events. The 4×4 Pavilion will stand out at any event. The peak is an impressive 4.5 metres high with side walls offering a clearance of 2.25 metres. Easy to set up by just two people and ideal for agricultural shows. The 5×5 is one of our larger Pavilion marquees and offers a clear span of 5 metres. The high peak roof allows for a nice, cool shaded area under roof. Perfect for exhibitors who attend events and need a reliable, high quality marquee. The 6×6 is our largest Pavilion marquee. With a 6 metre clear span, it is perfect for corporate companies that want to impress. 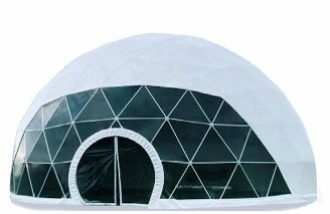 The roof and side walls can be fully custom printed from top to bottom. Should a larger area be required, gutters can join two or more marquees together. Great for reception venues that need additional space or for use at trackside corporate functions. The 3×6 Pavilion is our only rectangular shaped marquee in this range. This marquee has proved to be a great success and provides a cost effective alternative to hiring. Why choose Extreme Marquees Pavilion Series? Innovation is one of our “claims to fame”! We are always developing and building on the way we design and produce our marquees so that we are always a step ahead of the competition, and so that we are offering our customers the latest and greatest products. A great example of our flexibility and innovation in design is our dealings with Brisbane Grammar School. Even though it was not a standard accessory, they asked us if we would install rotating flag posts on their recently purchased Pavilion Pointed Tents. Our design engineers tried a few ways to ensure that the design was waterproof rotate effectively and safely in the wind. A successful outcome was achieved for the school! 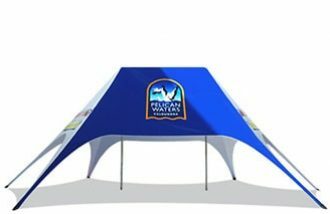 We took it a step further, going on to design a rotating canopy top flag to be available as a standard accessory for our entire range of pointed tents, folding marquees, folding gazebos and folding tents. Safety is our most important concern. The PVC walls and canopies comply with Australian standards for fire resistance, water penetration and UV light penetration. We are registered under the “Sun Safe” trade mark for our outdoor marquee and gazebo range, making the pavilion pointed tent perfectly suited as an agricultural tent. The PVC used in the manufacturing of this marquee series is imported from Belgium and guarantees many years of life. Most importantly, all components on our gazebos and tents are replaceable. Should your marquee be inadvertently damaged, downtime will be minimal. Gaby, who works in our logistics department, and Jeremy, our warehouse manager, will ensure that the required parts are sent on the working day that we receive your call! Our Pavilion tents are best suited for schools, clubs and larger market stallholders and can also be utilised as an agricultural tent. 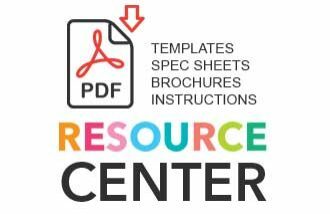 Offering the ability of full wall and canopy branding and high-quality materials all at a very reasonable price. Please feel free to Contact Us and one of our Extreme Marquee consultants will be happy to assist you in whatever way they can!